Suzuki Cush Drive Replacement Set | Sensei | Hayabusa GSXR | Pashnit Moto PASHNIT MOTO specializes Galfer, Brembo, EBC, Pazzo, Cycle Pump, Speedohealer, Clearwater Lights, Gear Indicators, Powerlet, Stainless steel braided brake lines Available for Sportbikes and Dirt bikes | Performance Brake lines | Custom and Aftermarket Sport Bike Parts and Accessories | PashnitMoto.com established 1999. 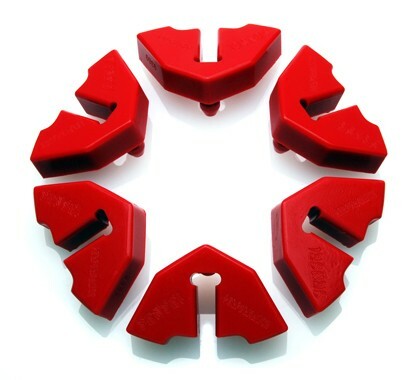 **These provide improved performance, greater durability and will outlast the stock OEM rubber and is much stronger. **They will reduce your reaction time at the drag strip. **Whether you are drag racing a High Horsepower bike, cruising the street, or if you are a daily driver you will benefit from this product. **By changing the compound they hold their shape over time and resist the abuse of modern day motorcycles. Our Sensei Performance Cush Drives provide improved performance, greater durability and will outlast the stock OEM rubber and are much stronger. 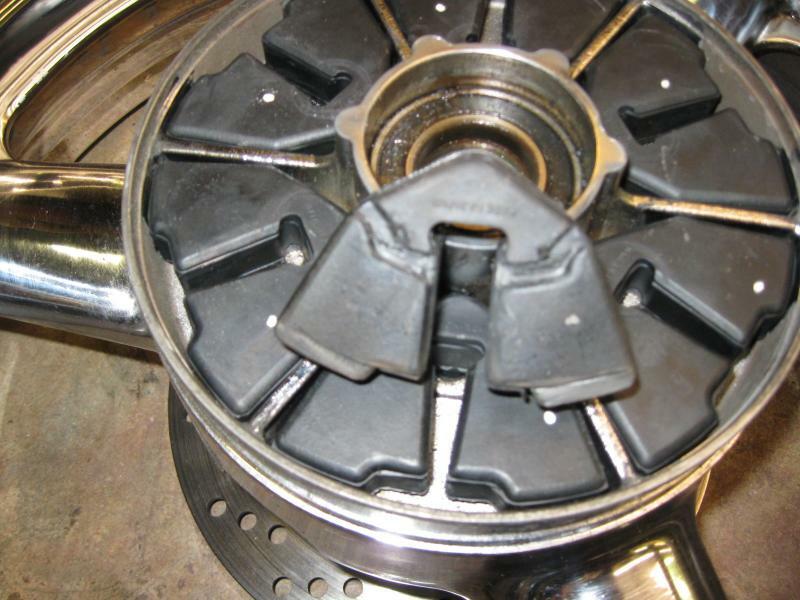 Cush Drives are a maintenance item for your motorcycle & should be replaced at intervals. If you feel too much 'play' in the rear hub when you roll on or off the throttle, replacing the Cush Drives is a low cost rebuild item. Simply remove the old ones (they pop right out), and insert the replacement models. 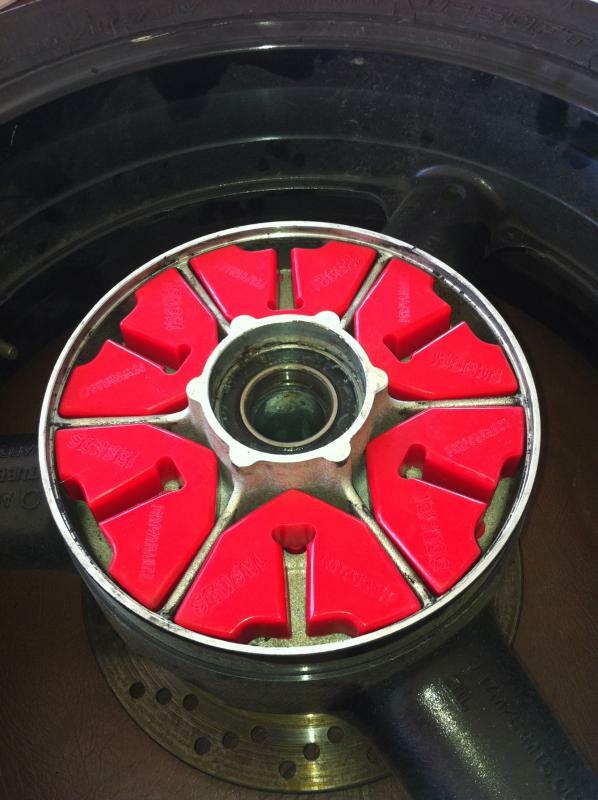 Our Sensei Performance Cush Drive Kit will also reduce your reaction time at the drag strip or from the line. Whether you are drag racing a High Horsepower motorcycle, cruising the street, or if you are a daily driver you will benefit from this product. By changing the compound they hold their shape over the stock rubber, last longer than stock and resist the abuse of modern day motorcycles. Made in USA. WHAT IS A CUSH DRIVE? A cush drive is a part of a motorcycle drive-train that is designed to reduce stress from engine torque damaging other components during gear or throttle changes. 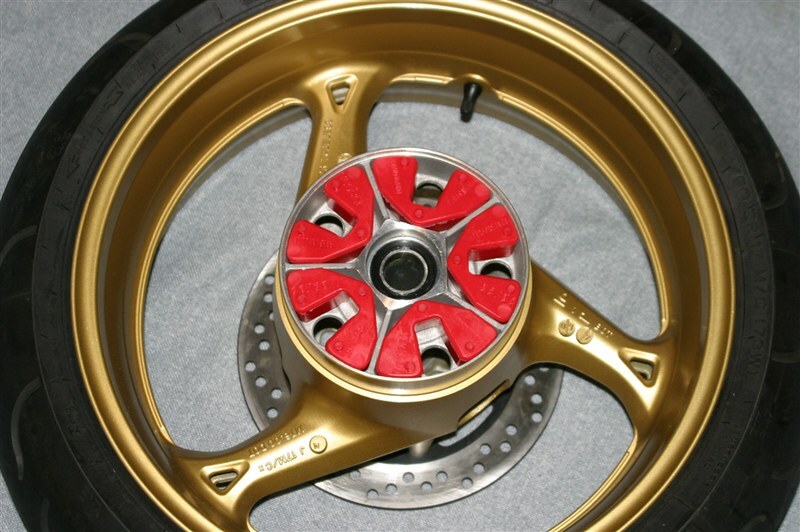 A common design used by Suzuki is made of six 'bumpers' inside the rear hub: the wheel, the sprocket assembly, and the rubber dampers make up this 'shock absorber' for the drive train. The wheel and the sprocket assembly fit together with six sections much like two hands woven together. In between the contact of the two assembly are rubber blocks. This makes it so the wheel and the sprocket have a dampening layer between them, and the rubber blocks reduce wear and fatigue of the metal assemblies. When the rubber dampers become old and harden due to age or your mileage, they begin to wear out & lose their elasticity- & more importantly dampening ability. The changes in load on the drive chain instigated by changes in throttle position or changing gears can cause snatchiness in the power delivery. Loads particularly on the drive chain can be massively increased in these conditions, increasing the risk of breakage or of contact with the swinging arm resulting in damage. Perhaps more pointedly: the sudden transfer of force/throttle/horsepower to the rear tire can cause jerkiness, or momentary loss of traction (lock or spin) resulting in small changes of direction or at worst total loss of control. Pashnit Moto is an Authorized Dealer. Contact direct at 530-391-1356 M-F 9-4 PST for phone orders.